Is Pennsylvania Ready for Automatic, Universal Voter Registration? State Senator Vincent Hughes' upcoming legislation would register all citizens when they sign up for a state benefit, service or license. 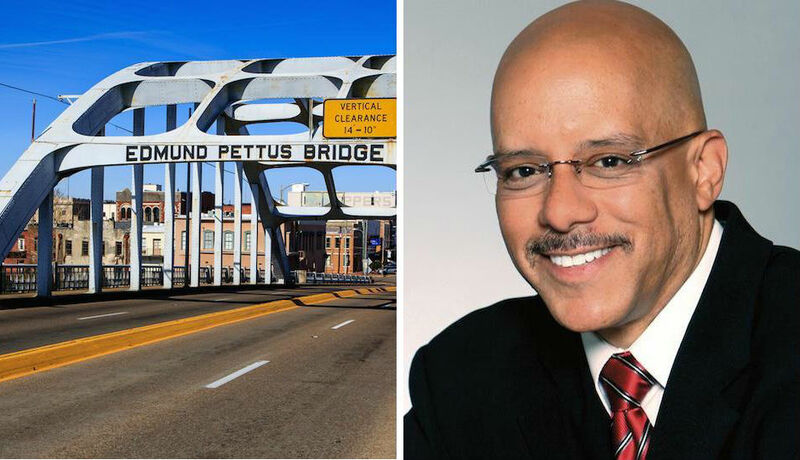 By Holly Otterbein·	 3/10/2015, 12:02 p.m.
State Sen. Vincent Hughes say he is introducing a bill to pay homage to civil rights activists who tried to cross the Edmund Pettus bridge in 1965. State Sen. Vincent Hughes traveled to Selma, Alabama this past weekend to commemorate the 50th anniversary of “Bloody Sunday,” a pivotal moment in the civil rights movement in which police brutally beat non-violent activists. The events led to the passage of the Voting Rights Act. Hughes, a Philadelphia Democrat, says he is now introducing legislation that would implement universal voter registration across Pennsylvania in order to honor those who demonstrated in 1965. Under his upcoming legislation, Hughes says government agencies would automatically register Pennsylvania residents to vote. Hughes is planning to introduce the legislation next week. It will likely face an uphill battle in the GOP-controlled General Assembly. Conservatives tend to argue that universal voter registration is costly and that residents should decide for themselves whether to sign up. There are also political implications: It is generally understood that the Democratic Party stands to benefit the most from universal voter registration because many non-voters are part of demographic groups that typically support Dems. Spokespersons for Republican leaders in the state House and Senate did not immediately respond to requests for comment on the proposal.